JEFFERSON COUNTY, CO—Expressing confusion as to how their fellow inmate was able to maintain a steady diet of oven-roasted chicken, classic tuna, and cold cut combo sandwiches, prisoners at the Englewood Federal Correctional Institution told reporters Monday that they weren’t sure how Jared Fogle was still eating Subway for every meal. “The cafeteria doesn’t offer Subway, and they don’t sell it in the commissary, so we all have a lot of questions,” said inmate Todd Kruger, noting that Fogle had received very few visitors, which ruled out the possibility that his friends were smuggling sandwiches into the facility for him. “I get back from lunch yesterday, and I see him in his cell, chowing down on a steak-and-cheese wrap with a Powerade and apple slices. I think I heard him mutter something about how they forgot the chipotle dressing, which makes it sound like he’s ordering them from somewhere, but I honestly have no idea. 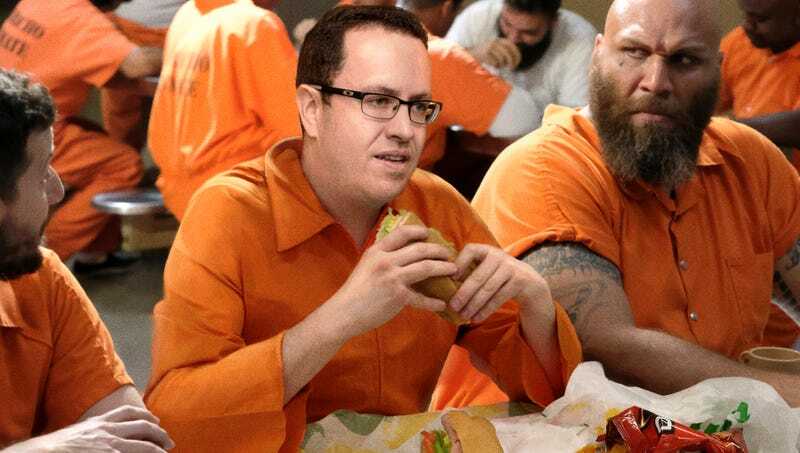 Plus, the sandwiches always look like they’ve been freshly toasted, which just makes the whole thing even more baffling.” Kruger added that he and his fellow prisoners were no closer to understanding why Fogle was the only inmate allowed to own an oversized jumpsuit that he could hold up to show how much weight he had lost.